4s Auto (Four Seasons Automobiles Pvt. Ltd) is one of the largest independent car workshops in South Bombay with a capacity of servicing up to 20 cars. Our concept at 4s Auto is simple - Offer Cost Effective & Satisfactory Automobile related services. 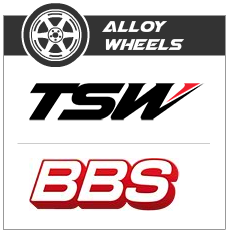 We take our experience in the Automotive Aftermarket Industry and team up with companies that offer the best products. We have some experienced technicians in the workshop who are highly capable to handle your Audi, BMW, Mercedes, Jaguar, Land Rover, Porsche or any other vehicle’s repair & service related needs. We do not cut corners and compromise on Quality. We understand the importance of Customer Service and we will do everything we can to make sure you are satisfied when you do business with us. Premium Pre-Owned Cars Mobile App lets you track, view & notify you when your favourite Premium Cars come up for sale with us. All existing customer servicing their vehicles with us will be able to track their vehicles service history. Performance Air Filters designed & developed to provide better Air Filtration & Increased Air Flow into the engine in order to increase acceleration & efficiency. Unlike paper filters which clog soon and demand often replacement at every service interval, performance air filters can last as long as lifetime of your vehicle. These are available both for Petrol & Diesel Engines offering Direct Replacement Applications to Vehicle Specific Customised Cold Air Intake Systems for Race/ Track use. We call this the Step 1 to improve vehicle performance. Most vehicles which are Model Year 2000 upwards are equipped with Drive By Wire Throttle Systems which have a downside of a delayed throttle response. Throttle Response Converter overcomes this delayed throttle response to provide a crisp on tap acceleration for the driver whenever demanded. Available for Most Model Year 2000 Upwards Diesel & Petrol vehicles equipped with Automatic/Manual Transmissions. Engine ECU remaps in a way opens up the reserved Horsepower & Torque which your Engine is Capable of delivering. ECU remaps change various parameters like Air Fuel Ratios, Boost Pressure, and Exhaust Gas Temperatures, Injector Duty Cycles in order to give gains anywhere between 20% - 30% in overall engine performance (On Forced Induction Engines). Depending on the Vehicle and the ECU equipped, this can be done simply by just uploading a revised software on the ECU via direct connection through the vehicle OBD port or as complex as removing& opening the Vehicles ECU and flashing it. By far the easiest way to increase performance on most Diesel vehicles equipped with Automatic/ Manual Transmissions. ECU contains a “map” which tells the fuel injection system, for every engine speed and setting, how much fuel to inject into the engine. When the box is plugged into your vehicle it will analyse the ECU signals and alter them allowing changes in injector opening times which increase or decrease the fuel rate to exactly the right amount producing more torque and power. Whether tuned or not, better braking efficiency on the vehicle is something every driver looks forward to. Performance Brake Discs & Brake Pads made with high quality materials resist extreme temperatures and perform in all conditions resulting in Shorter Braking Distance. Made of high quality materials like Stainless steel or Titanium are lighter and usually have a lifetime warranty on them. Performance Exhaust system reduces back pressure by allowing exhaust gases to flow freely resulting in a sporty exhaust note and increasing peak power of the vehicle. 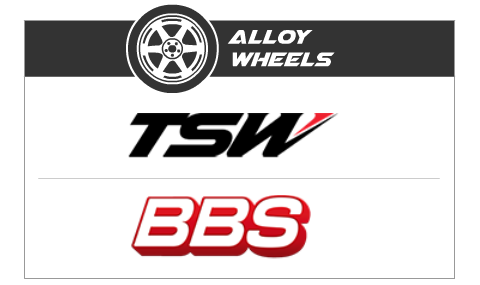 Performance Alloy Wheels available in various sizes, finishes & quality not only changes the visual appeal of the vehicle but reduces unsprung weight resulting in more precise steering input and improved turning in characteristics. By reducing the weight of vehicle’s rotational mass performance alloy wheels provide more responsive acceleration & braking. We sell Premium Pre-Owned Cars, you can track, view & get notifications when your favourite Premium Cars come up for sale with us. Four Seasons Automobiles Pvt. Ltd.